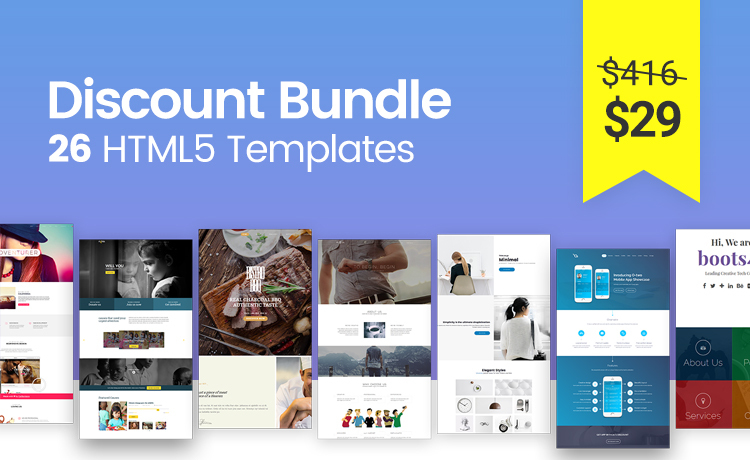 Discount Bundle on 26 HTML5 Template! more than 500 pages. Create beautiful, unique layouts with 350+ clean-coded responsive blocks. Every template is powered by Twitter Bootstrap. Build Amazing Websites Right Away!